Our Milwaukee Bucks play tonight at the Resch Center in Green Bay. They will take on the Timberwolves, and tip-off is set for 7pm. This will be the last game for the Bucks before the real fun begins. We are just one week away from the start of the NBA season, and Bucks tickets for the home opener are available now. The Bucks will face the Celtics on the road in that first game. 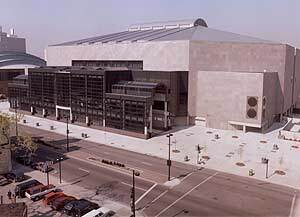 They come home to the BMO Harris Bradley Center on Saturday, November 3. Just in time for the regular season to start, the Bucks used their contract options to lock in Tobias Harris, Ekpe Udoh, and Larry Sanders. Sanders played in over fifty games last season, and was the team leader in blocked shots. Udoh played in just over sixty games, with a scoring average hovering around 4.8, pulling down just under four rebounds per night as well. This will surely be an interesting lineup. Tickets for all Bucks home games are available now.